The Big Game is less than a week away! It’s time to stock up on the essential Super Bowl munchies. Sure, you’ll pregame with wings and hot sauce. Chips and pretzels are fine for instant replays. Pizza will support you through Lady Gaga’s halftime show. But the undisputed MVP of the big day is a heaping plate of nachos with all the fixings. And what would nachos be without guacamole? That smooth and scrumptious avocado dip just pulls it all together. Here’s the problem: Like so many promising rookies, avocado (which is guacamole’s principal player) has an extremely short career. Everything fades eventually, but a cut avocado loses its luster faster than you can say Tim Tebow. 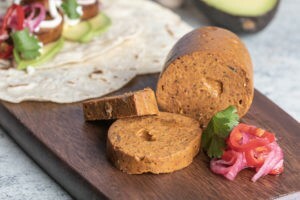 When an avocado’s flesh (rich in polyphenol oxidase) is exposed to oxygen, it quickly turns an unappetizing shade of brown. The riper the avocado, the faster it goes. You can try to prevent an avocado’s oxidation with lime juice (it still turns brown). You can cover the fruit with plastic wrap (it still doesn’t help—and makes it pretty hard to eat). There is even the old wives’ tale of leaving the pit in the fruit (another misguided superstition). What you want is a guacamole with longevity, like a 200-game player. And we’re happy to tell you that there’s a solution. 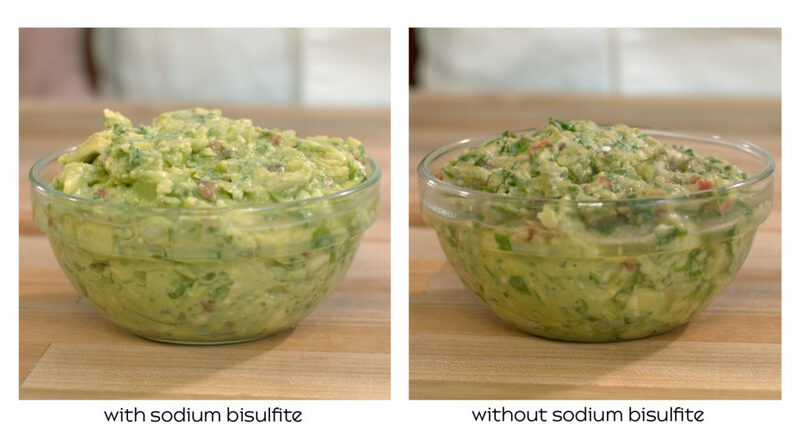 A magical ingredient called sodium bisulfite will keep your guac green and fresh from the day before the big game to the final seconds of the fourth quarter and beyond. Not only that, but sodium bisulfite has no taste of its own, so the avocado flavor stays pure. And the best part: The ability to make your guacamole ahead of time gives the flavors of your other ingredients (tomatoes, cilantro, cumin, etc.) a chance to mingle and develop fully. Guac is probably one of the healthiest players in your game day snack lineup. Once you try it, we’re confident you’ll discover that avocados and sodium bisulfite are an eternal combination—sort of like Brady and Belichick. Few foods are more alluring than the avocado. This fruit seduced the Spanish conquistadores arriving on the coast of Mexico, who compared its flesh to butter. Crack open its crocodile skin, reveal its creamy interior, and revel in its faint hazelnut perfume. Admire how its flesh goes from jade around its rim to pale buttercup-yellow in the center. Proper guacamole is a mix of ingredients, which might include tomatoes, onion, garlic, cilantro, lime, chiles, and even pineapple. But the main attraction is the silken, subtle avocado. Guac’s many variations are equally at home on a family table in Oaxaca, a fine dining establishment in LA, or a tailgating party in Detroit. 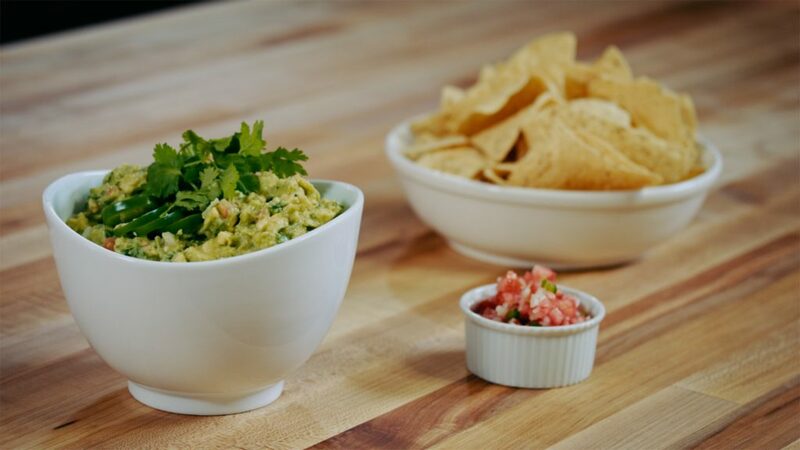 Over the years, guacamole has been mortar-and-pestled, food processed, chopped, and blended smooth. We recommend you mash the avocado lightly to maintain a chunky texture and rustic appeal. Pureed avocados are lovely in soups and in Michelin-starred garnishes, but a perfectly smooth guacamole lacks character—like something you’d get from the supermarket. Sodium bisulfite (NaHSO3) is an antioxidant that kills fungus and microbes. For a long time, it has been used to preserve the freshness of vegetables, fruits, and juices. For instance, it keeps leafy greens and apples from turning brown in salad bars. It’s also used in wine to preserve the flavor and color, and added to fruits before they are canned or dried. Besides inhibiting browning, sodium bisulfite also prevents vitamin and flavor loss. Sodium bisulfite would be perfect except that it occasionally triggers mild allergic reactions in sensitive people. 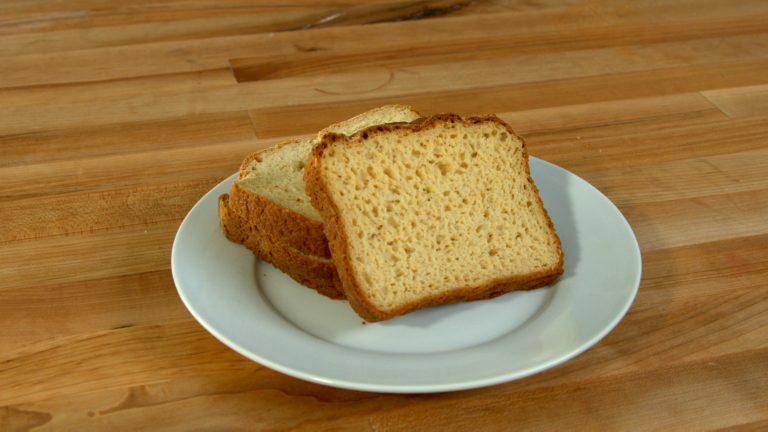 This can generally be avoided by limiting its use to no more than 1.25% of the weight of your entire recipe. Obviously, if you have ever had an allergic reaction to sodium bisulfite, you’ll want to leave it out of your guacamole. 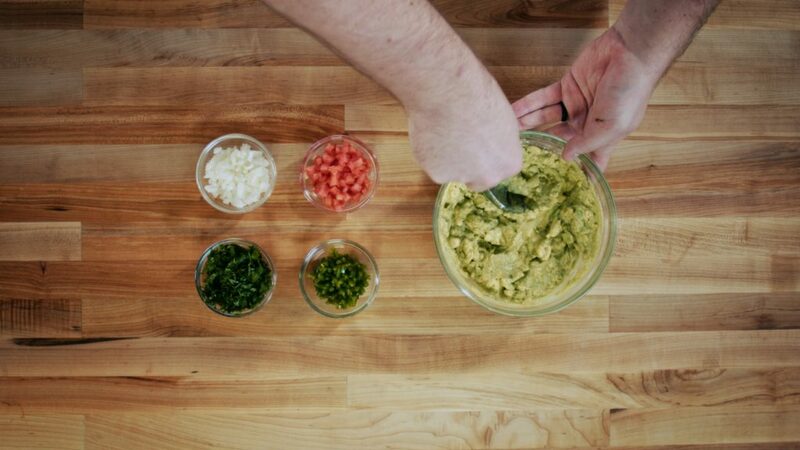 The following guacamole recipe should chill for at least 40 minutes to give the flavors time to properly meld. But thanks to the sodium bisulfite, you can prep it ahead and refrigerate it overnight, or even for a couple of days. 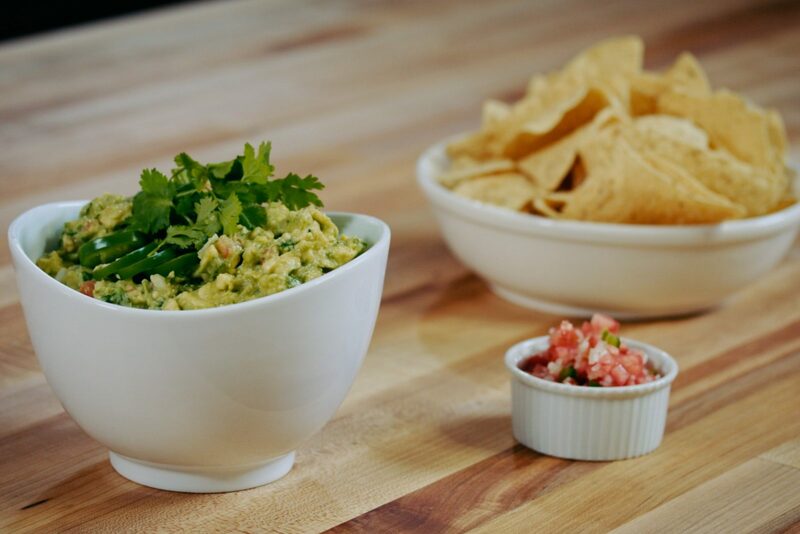 Come game day, you can relax while all your buddies enjoy your epic guacamole. And may the team with the biggest aoacatls win. 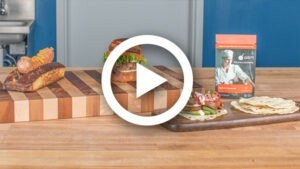 Using a chef’s knife, cut each avocado in half lengthwise, down to the pit. Do not cut into the pit. 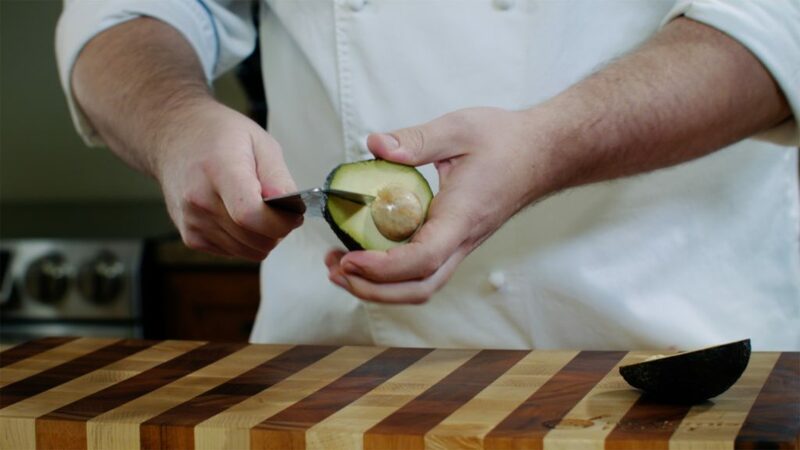 Use one hand to hold the knife in place and the other hand to rotate the avocado along the edge of the knife to cut the avocado in half around the pit. 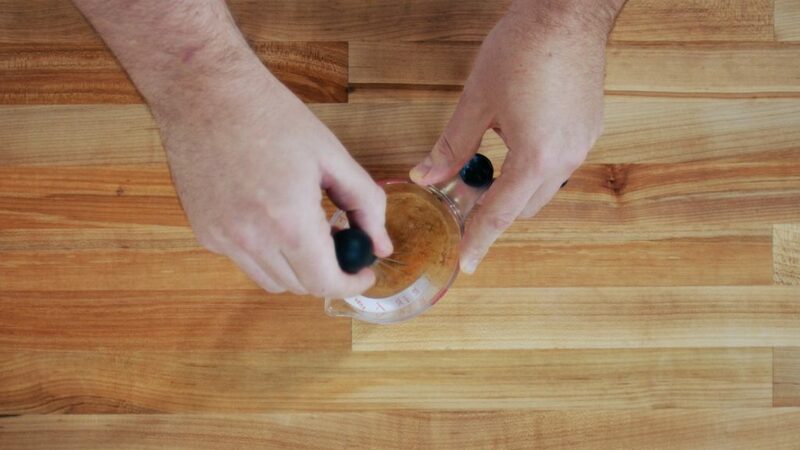 Hold the avocado with both hands and turn the halves in opposite directions. One side will free itself from the pit. Remove the pit and cut the avocado into quarters, almost down to the skin. Now that the avocado is in quarters, the skin will peel away easily from the fruit. Cut the avocados into ½-inch (1.25 cm) cubes and set aside in your large bowl. Mix the lime juice and dry ingredients. 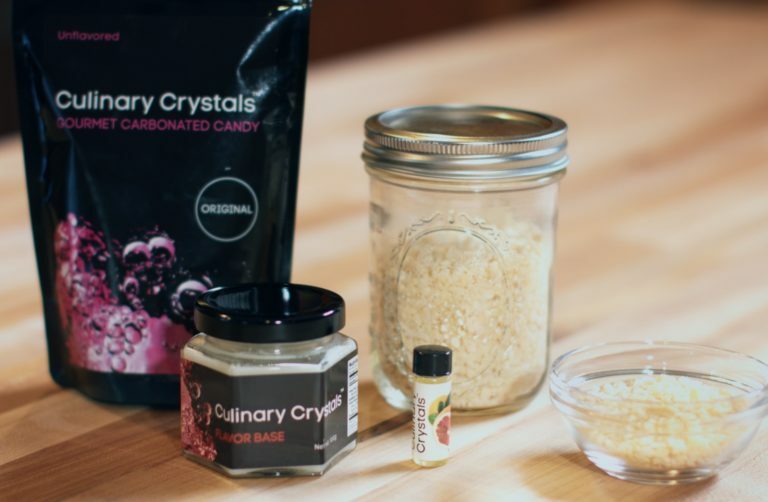 In a small bowl mix the lime juice, cayenne, ground cumin, sodium bisulfite, and salt. Add the lime juice mixture to the avocado cubes and toss well. 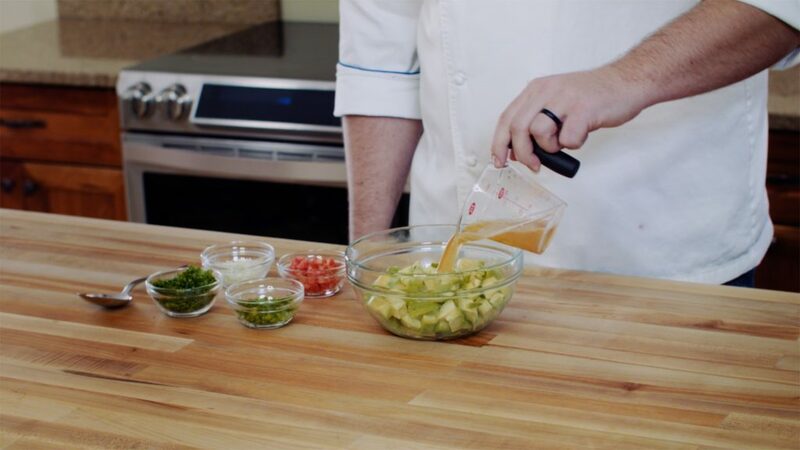 Make sure the avocados are evenly coated—this is important to keep the guacamole from turning brown. Using a large spoon or a potato masher, mash about three-quarters of the avocado cubes. Leaving some of the avocados only partially mashed gives the guacamole better texture. Of course, if you prefer a smoother guacamole, feel free to mash all the avocado. Fold the rest of the ingredients into the avocados. 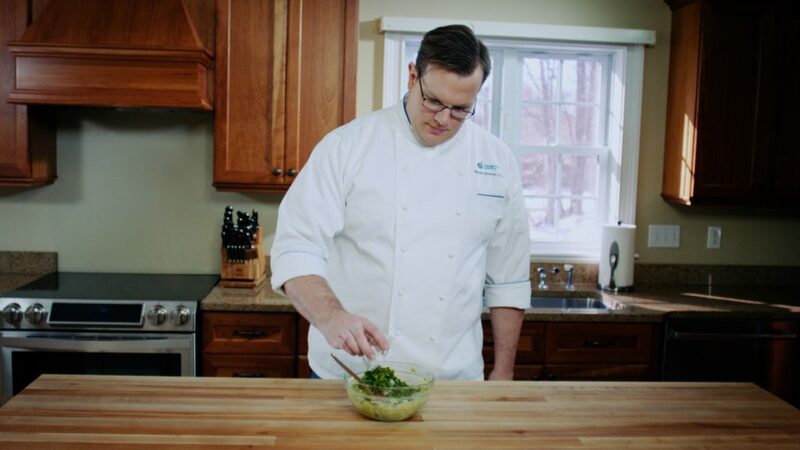 Cover the guacamole with plastic wrap and refrigerate for at least 40 minutes before serving. This allows all the flavors to meld. You can even leave it in the refrigerator for as long as a couple of days. Remove the plastic and serve. by cilantro, you mean fresh coriander. the REST of the recipe was in English. Coriander, cilantro and Chinese parsley all refer to the same herb here in North America. Cilantro is commonly used especially when referring to Mexican cuisine. Given the extensive use of French in classical cooking terminology, the mixing of languages in recipes is more the rule than the exception. Could you give us a volumetric measurement for the equivalent to 0.8 grams measure for Sodium Bisulfite… is that a quarter teaspoon? an eighth teaspoon? It is around 1/8 tsp. However, we do not recommend using volume measurements for most of our functional ingredients. They are generally used in very small quantities and approximations or eyeballing can lead to undesirable results. 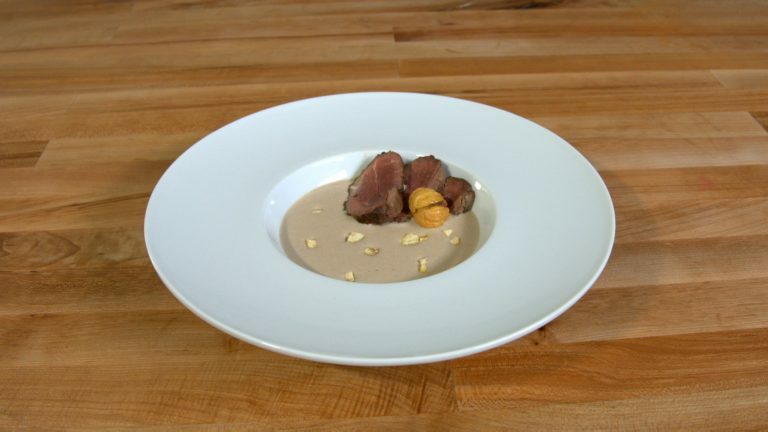 Measuring by volume can lead to significant differences in the amount used based on factors like spoon size and shape, how much it is filled, how compressed the product is and even humidity. If you want to get the best results we suggest getting a scale that will weigh in tenths or grams. I tried this recipe as written and it was horrible. Had a very off taste of salt & sulphur. I did some research and your recipe is on the right track but, the sodium bislufilte is way off. There is a paper on methods to preserve avocados from the Univ of Florida. Their tests show that 30 mg of sodium bisulfite in 100 gram of avocado is sufficient to prevent significant browning for at least 3 days. Using your quantities, that is 180 mg of sodium bisulfite and NOTt the 0.8 gram as suggested.